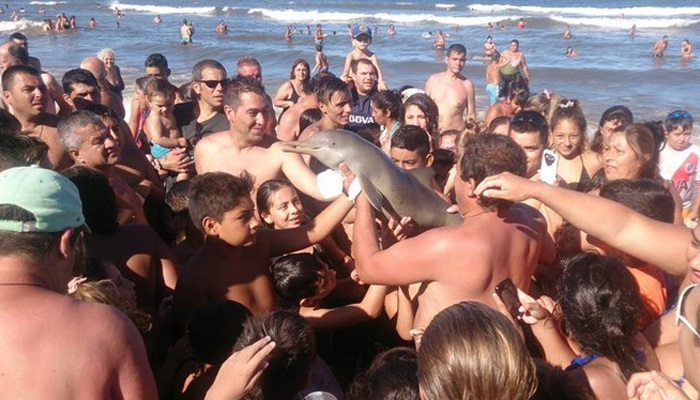 According to Argentina’s Wildlife Foundation, a Franciscan baby dolphin died last week at a beach resort in Bueno Aires.The reason of its passing is unbelievable: a group of tourists grabbed him out of the water for selfies. After they used it as a trophy, the poor creature was left in to die in the sand, Metro reports. With less than 30,000 individuals left in the wild, the Franciscan dolphins are an endangered species with animal rights groups and activists making hard efforts to its conversation and only for a bunch of people to do this? It’s really heartbreaking! 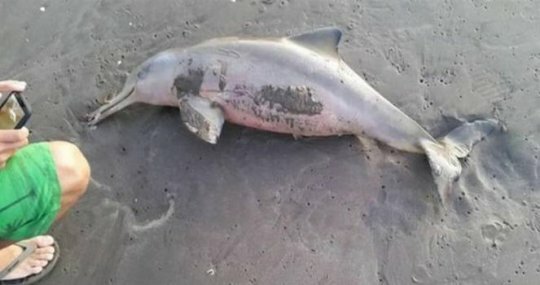 “In their efforts to get a novelty “selfie”, these holidaymakers showed a naïve – and ultimately fatal – disregard for life by hauling this baby dolphin out of the sea, where he or she belonged. One can only imagine the trauma suffered not only by this baby, who was passed around like a toy by marauding tourists, but also his or her grieving mother,” a spokesperson for Peta declared.